I've been busy lately but all what's in my mind is photography! Pretending that my eyes are my viewfinder and looking for things to shoot with my bare eyes I also focus on the TV Shows and try to figure out what settings they were using... I get inspired this way to think of different perspectives and make a plan of the things I want to shoot! We had a little surprise birthday party for a cousin, it was great! I took the traditional cake photo but wasn't happy with it. Everyone else was taking instgram photos at the same time so I tried to quickly capture one of the instgrams and got this beautiful photo. 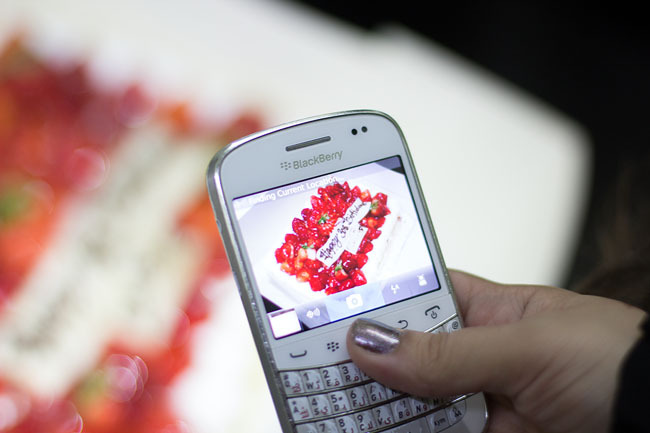 It's not just a cake, it gives an essence and feel of the time (instgram and smartphones) and the event! It is really fun to look for different perspectives and the outcome - beautiful and unique photos - is worth it!